Fast, easy and convenient! Just a few minutes! That is all it takes to get pre-approved. Are you in the market for a pre-owned Toyota? Toyotas are prized for their reliability, efficiency, safety and value, making them a good brand whether you're buying new or used. To ensure you get a good deal on your used Toyota, you need to be well-informed before you go shopping. Here are some tips you should follow when buying a pre-owned Toyota in NJ. Not all used cars are certified. A certified pre-owned vehicle has been inspected, repaired and certified by the manufacturer. Certified pre-owned Toyotas also often come with additional benefits, such as an extended warranty, roadside assistance, or special financing. Buying a certified Toyota gives you peace of mind knowing the car was inspected and refurbished. While Toyotas are well-known for their reliability, the condition of a particular vehicle depends on its history. Before making a purchase, review the vehicle's inspection report. All certified pre-owned Toyotas are inspected prior to certification. Verify that the vehicle identification number (VIN) is the same as the one listed on the report. If you aren't buying a certified Toyota and there is no report, then arrange for a vehicle inspection so that you know the car's history. You should always take a vehicle for a test drive before making a purchase. The test drive gives you a better idea of the car's condition and how it operates and rides. View our top test drive tips here. Before sealing the deal, you should know the vehicle's market value. Websites like Kelly Blue Book, Edmunds and Nada Guides can tell you the value of a used Toyota. Research the car's value and come to the dealership armed with this information to negotiate the best price. By following these tips, you can get a good deal on a used Toyota. 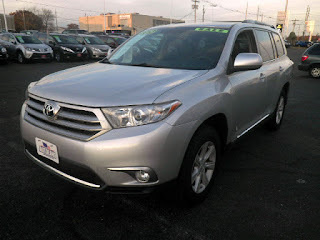 At our Autoland dealership in Springfield, we have a great selection of pre-owned Toyotas of various years and models. Visit us online or at the dealership to find the perfect pre-owned Toyota in NJ today. Japanese Used Cars Sale In England sually,buying a used car is a much better option than purchasing. Should You Buy or Lease a New Car? NOTE: Price(s) include(s) all costs to be paid by a consumer, except for licensing costs, registration fees, dealer document fee and taxes. Autoland is conveniently located close to Westfield, Union, Elizabeth, Mountainside, Millburn, Summit, Short Hills, Cranford, Kenilworth, Maplewood, Roselle Park, Hillside, Clark, Plainfield and Linden.